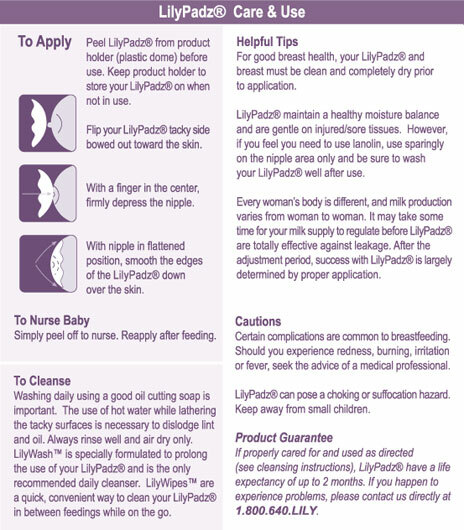 Handy LilyPadz Starter Kit includes LilyPadz, LilyWash & LilyWipes. 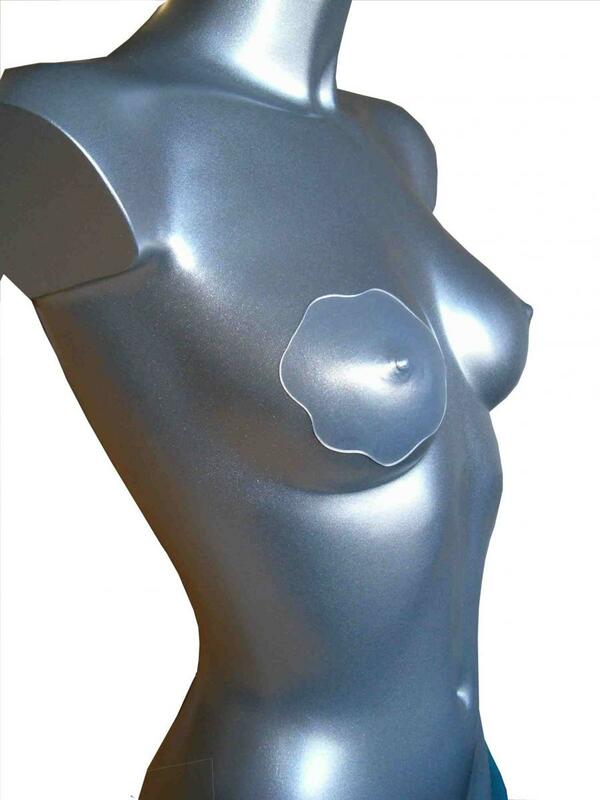 LilyPadz go where traditional nursing pads can't--for swimming, strapless, or overnight. 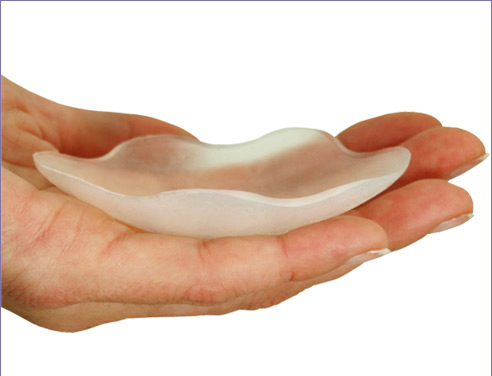 These silicone pads are an alternative to traditional nursing pads! Stops light eaking w/ gentle pressure & reusable forever--just rinse and reuse. 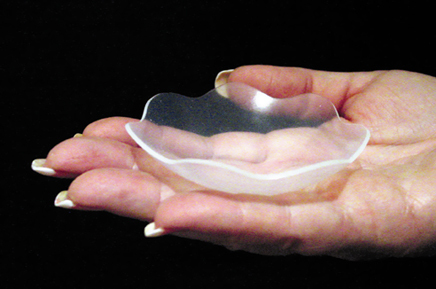 Nonabsorbent silicone nursing pads. 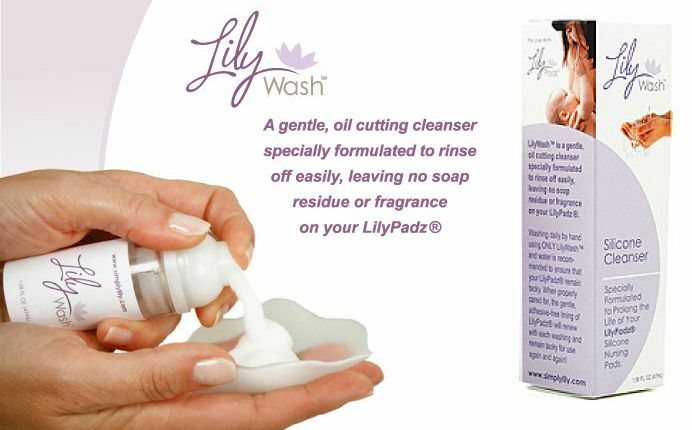 The starter kit includes either a single or double pair of LilyPadz®, along with two companion products, LilyWash™ and LilyWipes™, both designed to gently cleanse your LilyPadz® while renewing the tacky lining for use again and again! A Bonus Organza Drawstring Pouch is included in each box! LilyWash™ – 1.58 FL OZ (47mL) bottle--Washing daily by hand using only LilyWash™ and water is recommended to insure that your LilyPadz® remains tacky. 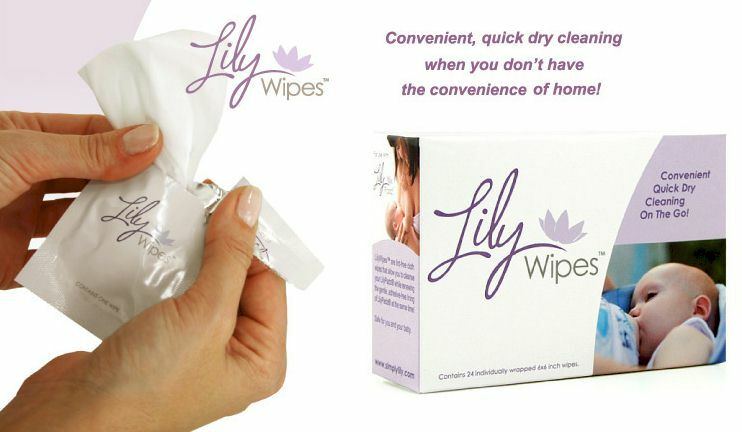 LilyWipes™ – 1 box, 24 individually wrapped 6x6 inch wipes--A quick dry, convenient way to clean your LilyPadz® in between feedings while on the go! Wear at Night, with a Swimsuit, or Strapless!